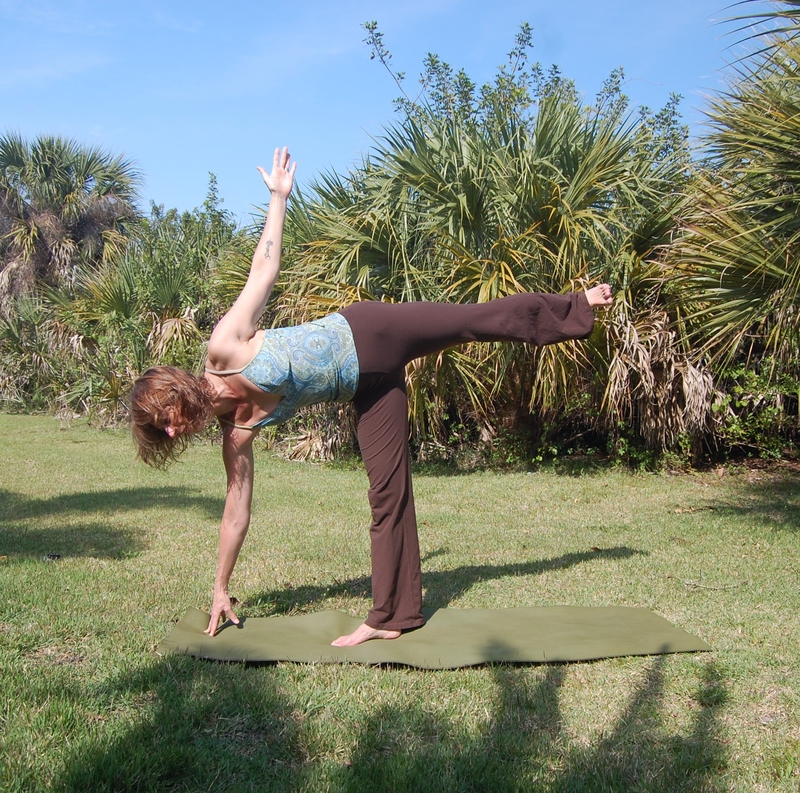 Playing in Ardha Chandrasana during a recent trip to Florida. I love balance poses! How has this week of the Grand Cross been for you? I’ve been feeling balanced and energized. I’m getting stuff done – stuff like creating sequences for my vinyasa flow yoga classes. I love balance poses, and since I’ve been enjoying so much balance in my life I decided to share a balance flow that I like to play with. Give it a try. The worst that can happen is some less-than-graceful transitions. That’s it! After you do the whole sequence once, don’t forget to do the other side by balancing on your right foot in Eagle. And always give yourself a few minutes in Savasana at the end of your practice. Enjoy! And if you’re not feeling balanced, don’t worry. The astrological craziness should calm down after the solar eclipse on April 29th.